The little town of Arieseni is located on the borderline between the counties of Bihor and Alba at an altitude of about 1000 meters. 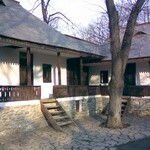 It is an important station from where the road leads to several locations through the Apuseni Mountains. 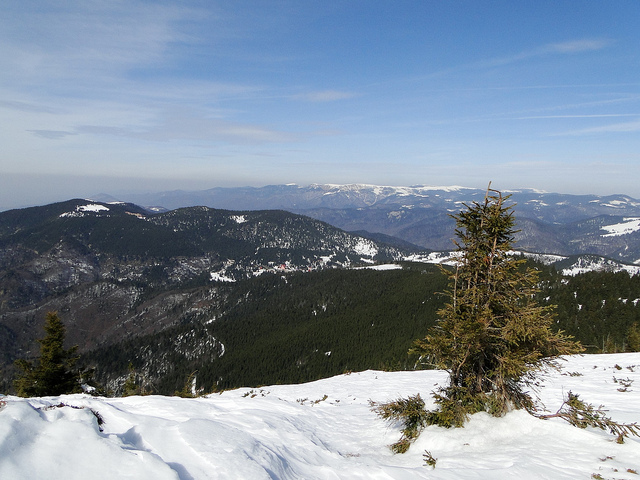 Go for an adventure in Romania during the summer time or winter season. Especially during the winter Arieseni is visited by many tourists from the neighboring counties and from all over the country for it has nice ski tracks which give opportunity for all sorts of winter sports. There are many private villas and wooden houses where you can rent a room and stay during the nights then set out exploring the wilderness or stay out on the track all day long. There are definitely lots to see around Arieseni. 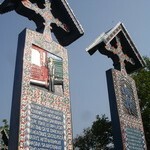 This region is attracted by tourists for numberless reasons. 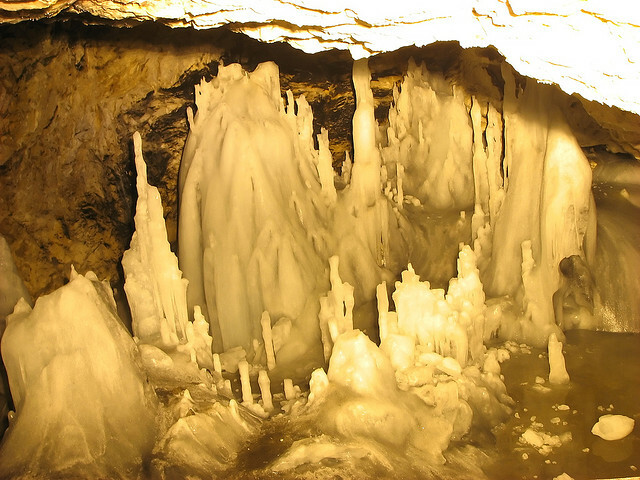 One of these is the Scarisoara Ice-house, a unique karstic phenomenon in Romania, located about 15 kilometers from the town of Arieseni. 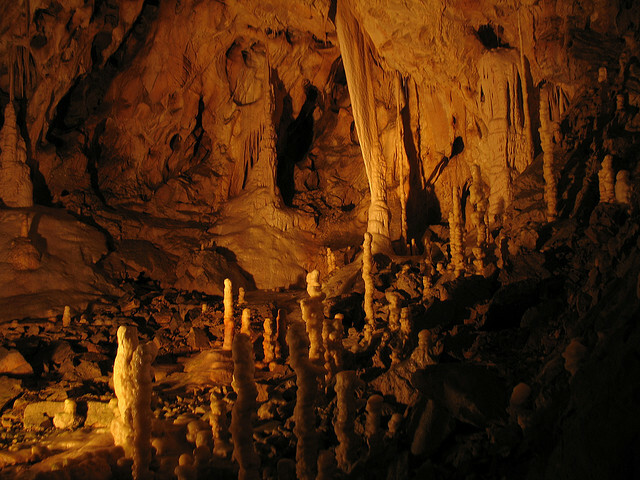 Other important turistical locations are the Ionel’s Port cave, the Caves of Bihor Gates, the Rusty Gorge, also a karstic phenomenon, the Bear’s Cave or the memorial house of Avram Iancu. It is also worth visiting the monastery of Lupsa and Posada and during the summer season you can go on a trip to Hen Mountain. The surrounding area of Arieseni is already quite developed with many pensions, hotels and villas but the local authorities are planning to make further developments, build more buildings for accommodation and extend the ski tracks in order to grow tourism in this region. 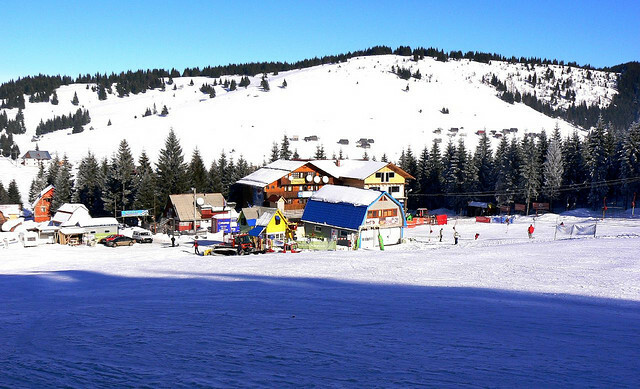 Usually during the winter season the hills of Arieseni are very crowded, especially in the weekends when most people come for snowboarding, ski and other winter sports. On the weekends the track is open for a longer period of time. Sleighs are not allowed on the ski tracks but there is a separate track for them where all big and small can ride the sleigh as much as they like without getting in the way of skiers and snowboarders. 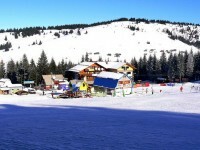 In this region ski season lasts from December until late March or early April. The most popular track in Arieseni is called Vartop which is also the most maintained and looked after track in the area. The total length of the tack is about 1000 meters with an altitude difference of 200 meters. Difficulty level of the track is medium. If you do not have your own equipment with you there are possibilities for renting ski equipments and snowboards for reasonable prices. A pair of skis cost 20 lei/day, a lift to the top costs 5 lei for adults and 3 lei for children.